Is there a better alternative to Serenity? Is Serenity really the best app in Health and Fitness category? Will Serenity work good on macOS 10.13.4? 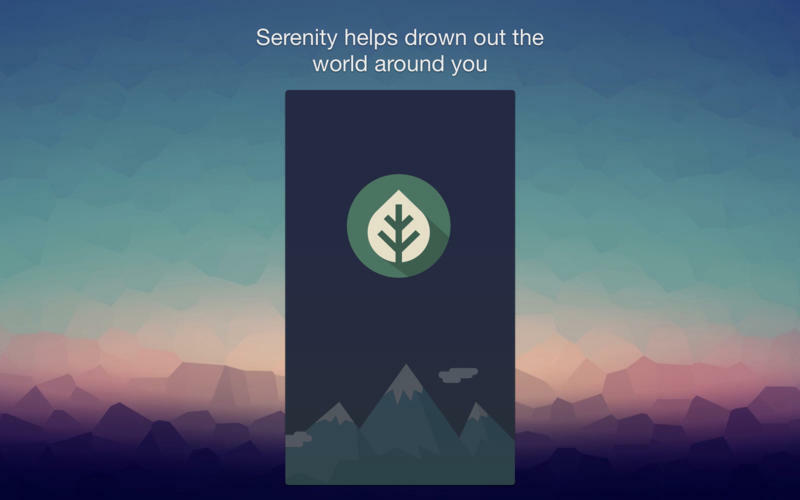 Serenity helps drown out the world around you. Create your own mix of ambient sounds. 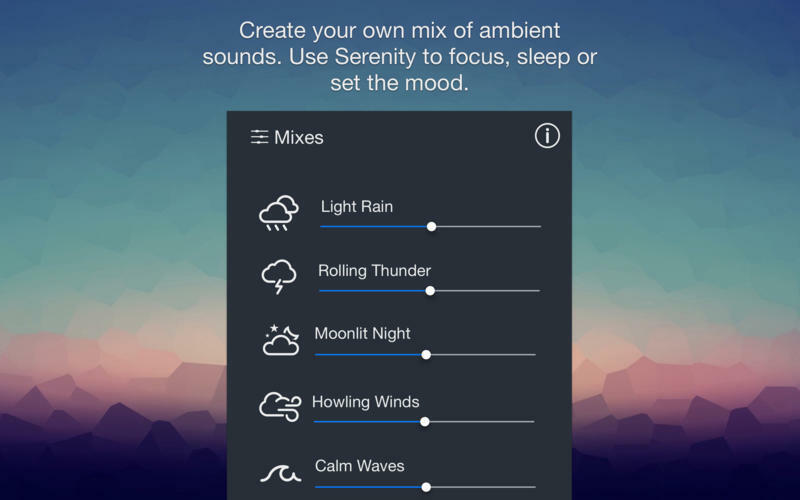 Use Serenity to focus, sleep or set the mood. Serenity uses the highest quality audio to give you the most realistic and immersive experience. Serenity needs a review. Be the first to review this app and get the discussion started! Serenity needs a rating. Be the first to rate this app and get the discussion started!